AppSheet users have built over 3,200 apps, and we want to showcase what they're creating to streamline their everyday activities. This is one of the most compelling ways to share with you AppSheet's capabilities as well as to inspire you with more ideas to create your own powerful mobile apps. Read on to see how user Janne Westin has built and deployed a mobile app to help simplify some of his daily business tasks. Janne Westin is a CAD Technician at Krambo Bostads AB, a real estate company that manages apartments, schools, shopping centers, and malls. Janne began his career as a carpenter and later learned Auto CAD design technology. Now, as CAD Technician, Janne collects old original drawings and uses software to scan the drawings and turn them into editable documents so he can make the necessary adjustments in real estate plans. 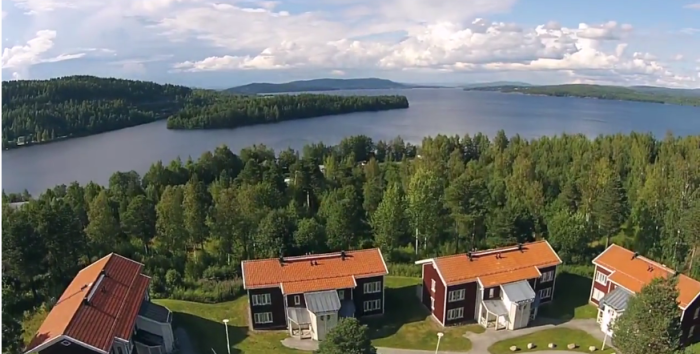 Kramfors, High Coast, Sweden, is located on the west shore of the southern Gulf of Bothnia. The High Coast is on UNESCO's World Heritage List, known for its breathtaking scenery and melting glaciers that are causing the land around them to lift at some of the highest rates in the world. Janne seeks solutions to gather information for the various needs of the real estate Krambo Bostads AB owns and manages, from checklists to check rounds, to inventory lists, to fire protection documentation to determine what measures should be made at the properties. Before trying out AppSheet the process was carried out mainly on paper, sent to subcontractors, and later put in a binder. This process was time-consuming and cumbersome, involving keeping track of paper logs and recording the data later. With AppSheet Janne has been able to manually create lists to get an overview of the information he needs in order to track maintenance of the properties. 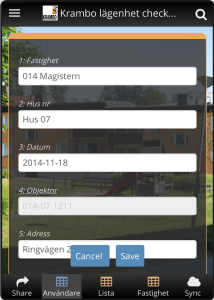 Janne built an app on AppSheet to list his repair tasks and assign them to his craftsmen. Janne has distributed the app to some of his colleagues and is still in the testing phase. So far, he says, "The development of the app has gone quite well for the users [maintenance team], which has little experience working without paper forms. [With the paper method], the user must translate the data manually into computer programs later. Best of all, AppSheet lets you create an online table where you see what's happening in real time. [The tables] are easy to download and process further. Much time will be saved when the data is already in the tables. You can also supplement the table while it is online for more data to be collected."